Please follow all of the instructions on this page to download the material. 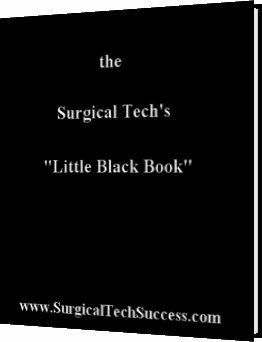 For your convenience, the Surgical Tech's Little Black Book & the Quick Link Resource Library are published for viewing in Adobe Acrobat Reader (pdf) which is the best and easiest way to view the material. 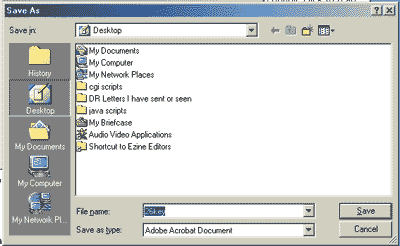 If you don't have Adobe Acrobat Reader, left click on the following link for a free download or upgrade. Clicking the above link will open a new page in your browser so you don't lose this download page. If you cannot get the Adobe Document to open, simply update your Adobe Reader by clicking the link above. You can print ONE COPY or save to disk and view on your computer. YOU MAY NOT RESELL or DISTRIBUTE this download! If you have any problems downloading these items, don't panic! E-mail us and we will help you. 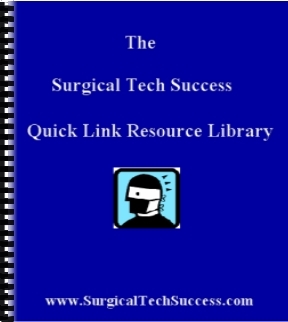 You will now download the Surgical Tech's Little Black Book & the Quick Link Resource Library. 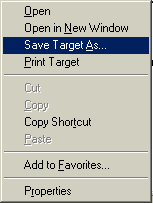 In Internet Explorer Choose "Save Target As..." and download the file to your desktop (in Netscape you choose "Save Link As.."). Once you select "save target as" or "save link as" a download screen will come up asking you where you want to save the file to on your computer. You should save the file to your "Desktop" or another folder you can easily find. Once you have downloaded the file, go to your desktop or the folder you saved it to and double click the file to open it. This should launch Adobe Acrobat Reader and automatically display the ebook.